Experience the excitement, energy, and attitude of the Nerf brand, and find out why It's Nerf or Nothin'. 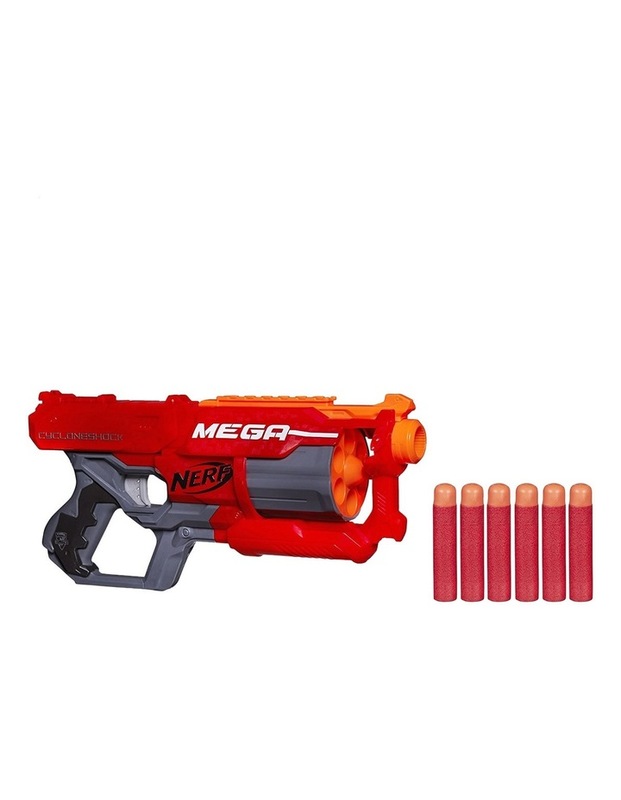 Nerf N-Strike Mega blasters feature bigger darts that are engineered to fire farther than ever. Unleash bigger darts for bigger battles! Take aim with the Nerf Mega CycloneShock blaster to unleash screaming Mega darts from the rotating drum!